IVR systems and services automatically answer phone calls using pre-recorded prompts and menus and respond to caller input. IVRS can either perform an entire transaction without operator assistance or can direct callers to the appropriate individual or department. Database Systems Corp. (DSC) has been a leading developer of call processing solutions since 1978, providing computer telephony products and services to businesses and government organizations. DSC offers complete interactive voice response systems (IVRS) and IVR software for small to large organizations. Our IVRS support both digital and analog phone lines. Besides providing turnkey systems, DSC also is a leading provider of IVR Outsourcing services. For a description of these services, please visit our IVR Outsourcing web page. Contact DSC to learn more about our IVR systems and hosted IVR services. 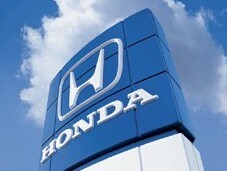 Honda Corporation uses our interactive voice response systems (IVRS) and call processing services to handle calls from its employees who are unable to report to work. A full script allows the employees to describe why they are unable to work and reports are provided to management in a timely fashion. Database Systems Corp. provides two different types of IVR systems. The WIZARD IVR system processes incoming phone calls over analog phone lines. The PACER IVR phone system processes inbound calls over digital T1 phone lines. DSC offers a complete, affordable and expandable IVR phone system. Features include our easy to use IVR Wizard software that leads you step by step through the development of your own custom phone applications. The 4 line IVR system includes our Wizard setup software or comes optionally with our comprehensive IVR Software development toolkit. Program your own IVR system or let our experienced and professional staff provide you with custom IVR applications. These IVR applications can be easily ported to our digital PACER phone system when your call volume requires a larger system. DSC provides IVR solutions for medium to large scale phone centers using our PACER phone system. These business phone systems are very popular for service and sales organizations, allowing customers and prospects to call your organization anywhere in the country day or night. Our PACER phone system supports multiple digital T1s. Thus your capacity ranges from 24 to nearly a 1000 phone lines per system. These systems can be networked to provide call capacity for virtually any sized call center or phone answering center. With our "Open IVR" network approach, IVR applications can be developed on separate servers that control the flow of information and the transfer of inbound calls. IVRS software from DSC is a simple development tool for creating interactive voice response phone applications quickly and efficiently. Enter information into our IVR WIZARD and your automatic phone applications can be answering calls in just minutes. IVR Phone surveys can now be created and maintained in a simple and visual manner. Using our IVR Wizard, administrative staff can now maintain existing phone applications. If complex phone applications are required, your programmers can develop phone applications using our rich set of libray routines. Phone applications created using our IVR software is portable and can be transferred to any other WIZARD or PACER phone system. Thus the investment in your phone application is not lost as your organization grows from a small analog IVR phone system to the larger digital PACER series. For a complete listing of our this software library, visit the DSC IVR software manual webpage. Contact DSC to learn more about our IVRS technology and services.